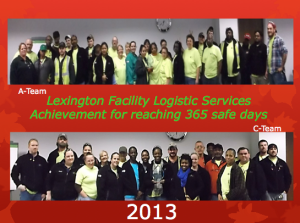 FLS' Lexington Team Achieves 365 Days Without Recordable Accident - Facility Logistic Services, Inc.
Congratulations to the FLS Lexington team for reaching an outstanding milestone of achieving 365 days without a recordable accident. This is a testament of their strong values of assuring that everyone goes home safely each and every day. 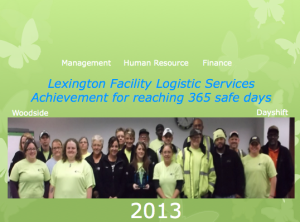 This team doesn’t just speak of having a resilient safety culture but they live it! Congrats Lexington.